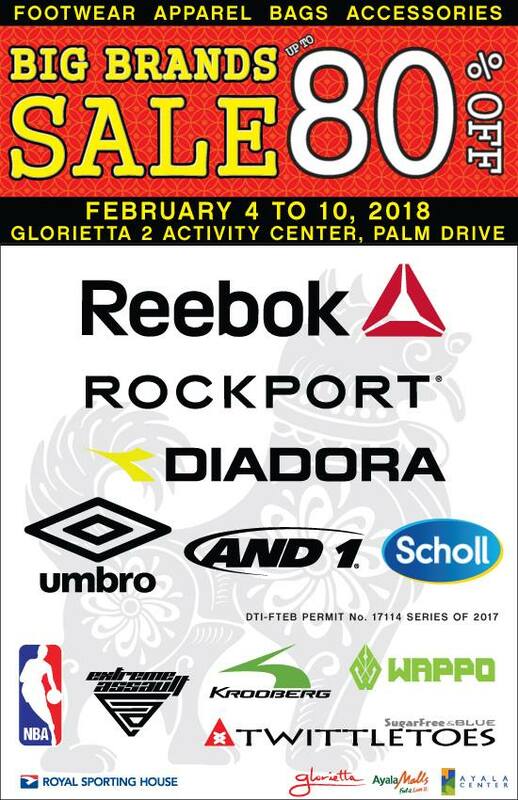 Catch the Big Brands SALE happening now until February 10, 2018 at Glorietta 2 in Makati. 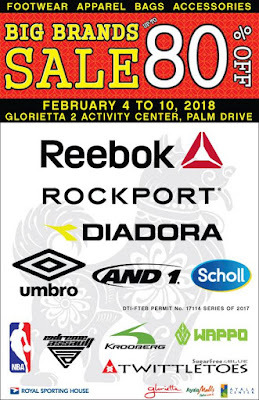 Get up to 80% off on Big Brands like Reebok, Nike, Rockport, And1, Diadora, Umbro, and more. 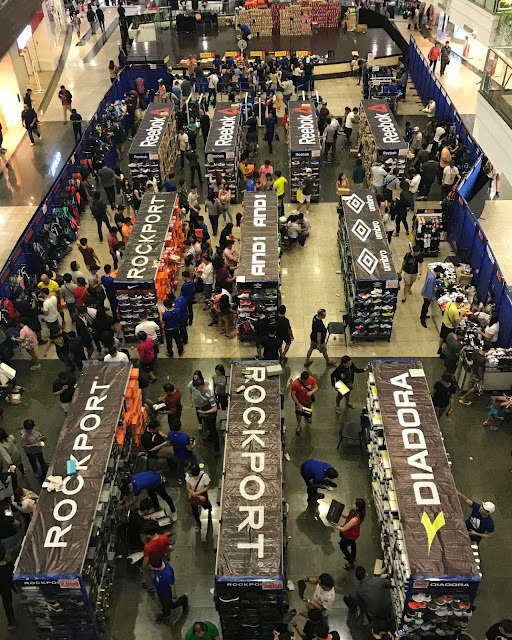 Credit cards accepted as a payment option.